Current R&D activities in the PV field are focussed on completely new PV technologies based on organic, anorganic or hybrid active layers. These cutting-edge module designs are semitransparent and flexible, and their mass per unit area is low. The new technologies might have considerable potential in the PV market, provided that the very promising research results so far can be transferred successfully from laboratory scale to industrial production. Vital expertise in developing materials and cells, in coating technology, module development, cell encapsulation and module testing has been brought together in the project flex!PV.at. The project consortium was made up of the research partners NTC NanoTecCenter Weiz (now JOANNEUM RESEARCH Materials, heading the project), AIT Austrian Institute of Technology, LIOS Institute for Organic Solar Cells at Johannes Kepler University (JKU) Linz, ICTM Institute for Chemistry and Technology of Materials at Graz University of Technology, and Fraunhofer Institute for Applied Polymer Research (IAP), plus two Austrian firms, crystalsol GmbH (Vienna) and ISOVOLTAIC AG (Lebring/Styria). The aim of flex!PV.at was to develop pioneering designs and materials, and low-cost, resource-conserving processes for continuous production of thin-film solar cell modules. From depositing the absorption layer, the intermediate/buffer layers, via thermal treatment to dry the layers, all the way to printing the electrodes and continuously encapsulating the modules, every single step in production was investigated from several technological angles. Here expensive raw materials in short supply, such as indium, and cost-intensive, energy-guzzling vacuum processes should be avoided. Suitable approaches were worked out for two very different PV technologies: on the one hand for organic solar cells with material layers less than 500 nm thick and low-temperature processes below 200 °C, and on the other hand for anorganic solar cells based on copper-zinc-tin-(sulfide/selenide) with material layers in the micrometre range and high-temperature processes above 350 °C. In the course of the project very promising results were achieved, i.e. 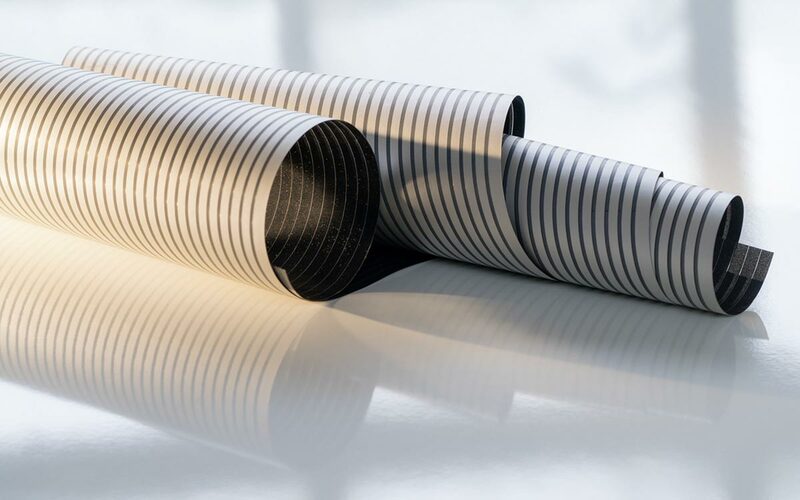 significant milestones for future production of the new flexible thin-film solar cells. A strategy for boosting module efficiency while providing considerable flexibility was successfully implemented both for anorganic and for organic cells. The efficiency loss between cell and module is reduced from about 50 % to 30 %. Other successes are the effective integration of the solution-processed production of transparent conducting electrodes and the development of cadmium-free buffer layers in the fabrication of solar modules and cells. As part of the final transition to an entirely continuous process, stable solar cell modules were produced and tested under real-life conditions. All the individual components of the solar cells and modules were assessed in terms of durability; adapting the materials and processes employed and finding the most suitable encapsulation resulted in extended service life up to 20 years. 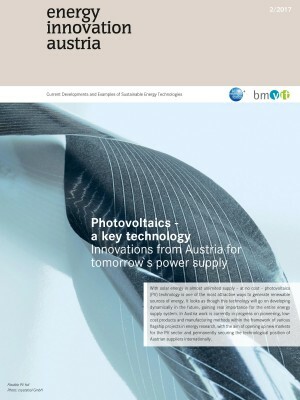 In a follow-up project headed by AIT Austrian Institute of Techno-logy, which started in 2016, emergent thin-film PV cells based on kesterite and perovskite absorber layers free of heavy metals are investigated. The research is focussed on material development, the coating process and the most suitable module design for future industrial mass production.